Aikido camp is for everyone! BNA Aikido Summer Camp is a place where youth are welcomed. 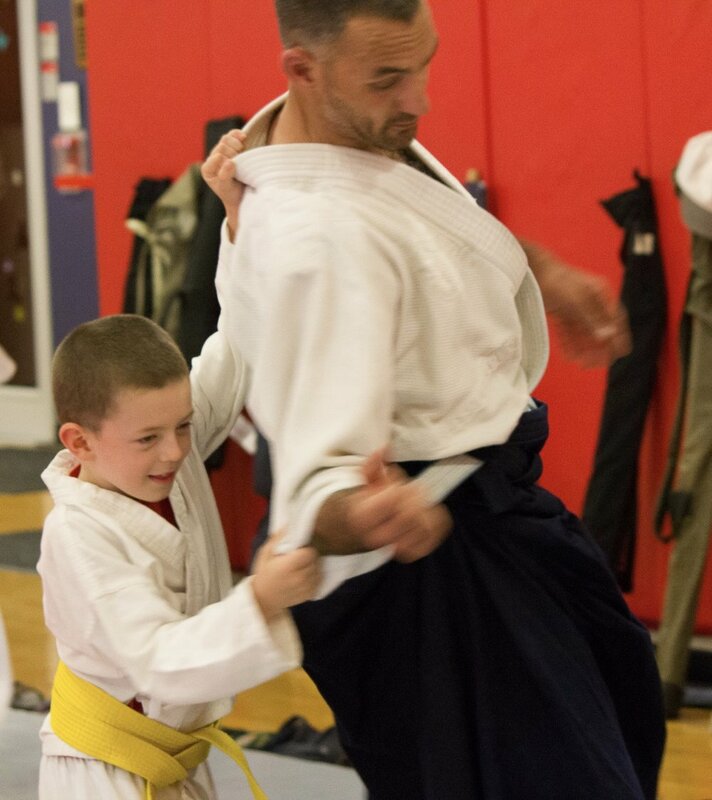 We know the future of aikido lies in the hands of our youth, and strive to create an atmosphere where kids practice can grow alongside and with adults. We want to make camp as affordable as possible for aikidoka under the age of 20! Check here to see our discounted rates for Minors (13-20) and Youth (12 and under). A corner of the mat will be designated as The Safe Zone. A certified teacher will be there to assist. The safe zone is for younger kids and less experienced youth. Older/more experienced youth may train outside the safe zone with the permission of their chief instructor. There will be free practice sessions after the last afternoon class and before dinner. All Youth are encouraged to come. This has been found to be a very productive experience. Bonus: all participants under 18 will receive a sports pack backpack with the BNA logo as a gift! Norine Longmire is the chief instructor of Aikido Takayama in Mission, BC (Canada), and is our 2019 Summer Camp Youth Program Director. Norine started a Kids/Youth Program at her dojo 8 years ago and it has been growing ever since. The Youth Leadership Team (which also includes Marci Martinez, Cecilia Ramos, and Frank Apodaca Senseis) will work to give your kids the best experience possible at camp. Bring your kids, and join us on and off the mats! Jefferson Park is less than a mile from campus, and has a super fun playground and sprayground! Children's Museum Of Tacoma is great for the 8-and-under set, with 5 unique "Playscapes" to explore. Check out Tinkertopia for an array of unusual crafts and materials. Tinkertopia is right downtown in the heart of the museum district. Witness the fascinating art of glassmaking at the Museum of Glass and check out the kid's glass art collection while you are there!